It’s been over ten years now since I achieved my weight loss goal (100 pounds down, and proud!). However, controlling my weight is still something I struggle with occasionally. When we hear of a new natural weight loss aid, it’s tempting to give it a try – especially if it’s something already in your cupboard like baking soda. Unfortunately many foods, herbs and pills that claim to burn fat without a change in diet or lifestyle are at best useless and at worst a scam. I always keep an open mind – I’m fully in support of natural remedies. However, I do my research thoroughly before adding a supplement to my regular routine or recommending them to friends. So, you want the skinny on baking soda? 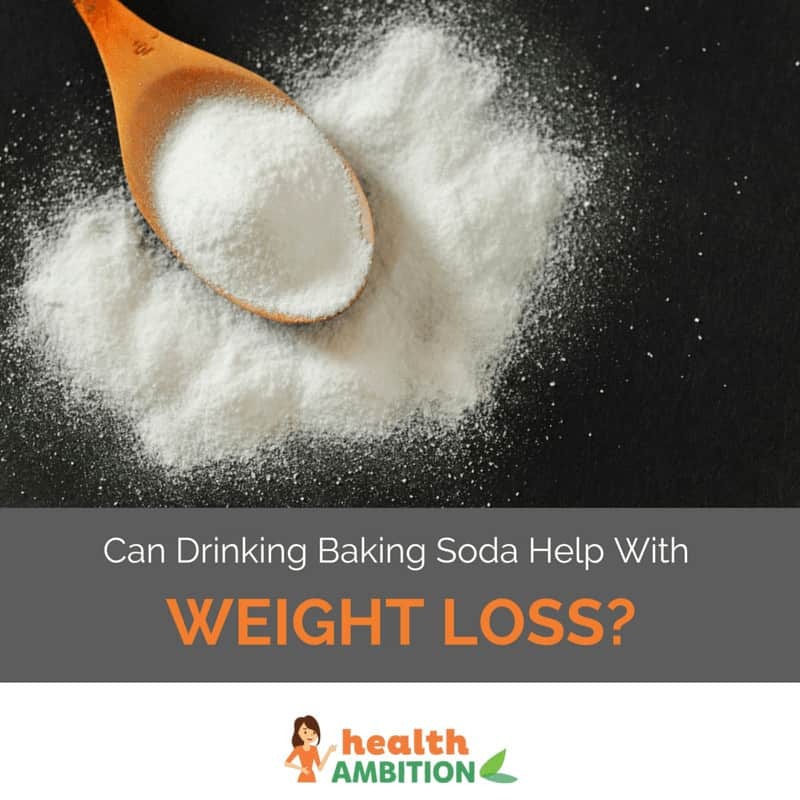 Read on to find out can baking soda help with weight loss. Baking soda, or sodium bicarbonate, is a type of salt made from the chemicals sodium and bicarbonate. It’s a solid white crystal which is available commercially as a fine powder. You may know it by one of its other names such as baking soda, bread soda, cooking soda, or bicarbonate of soda. Baking soda is commonly used as a raising agent in cake recipes, but it has a wide range of other applications and claimed benefits – including helping with weight loss. What are the Claims About Baking Soda and Weight Loss? Most of the websites reporting on baking soda for weight loss attribute the effect to its high pH. PH is a chemical property which describes how acidic or alkaline (basic) a substance is. I’m not going to go into much more detail on pH – it mostly describes how chemicals act in reactions, which is not important here. Baking soda is an alkaline chemical. Your body has its own pH values – certain parts are acidic and certain parts are basic. Simply put, this is mumbo jumbo. Your body’s pH is tightly controlled. Your blood is always slightly alkaline. No food or baking soda can change this significantly. If the pH of your blood gets out of line, it is usually a sign of serious illness and you will most likely end up in hospital. Your stomach contains a strong acid to break down your food. If you neutralize some of it with baking soda, more will simply be produced. If you suffer from heartburn due to excess stomach acid, baking soda will provide some temporary relief. However, your body is designed to maintain its default state and will always return to it. It’s claimed that neutralizing stomach acids helps your body break down fat. There is no evidence to support this. So, the take home lesson from all this is that not only does baking soda not “alter the pH of your body” but if it could, we wouldn’t want it to. Leave your pH alone people! So, I’ve debunked the main hypothesis regarding baking soda and weight loss, but is there any other evidence to support it? I’ve found a few instances where it may be of benefit. Although baking soda cannot significantly alter your body’s pH, it may be helpful in neutralizing lactic acid build up during intense exercise. If you include exercise as part of your lifestyle, you’ve probably experienced lactic acidosis without even realising it. 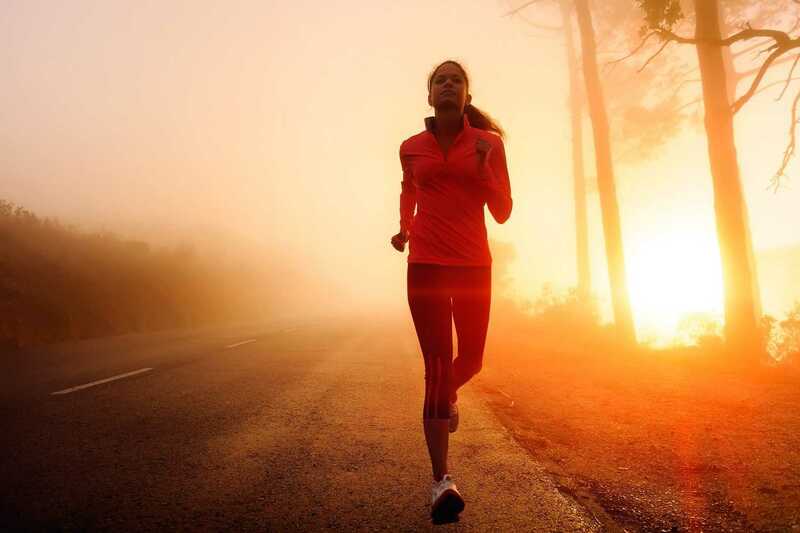 When you exert yourself too much during a workout, your body doesn’t have enough oxygen to make energy. It turns to alternative methods which create a buildup of lactic acid as a side effect. A study published in the European Journal of Applied Physiology tested the effect of sodium bicarbonate consumption on ten volunteer cyclists. Their lactic acid levels and performance were measured every 10 minutes during a 60 minute cycle. The cyclists who received the sodium bicarbonate had lower lactic acid levels and exerted more energy than the placebo group. Researchers concluded that the results of this study suggest that “sodium bicarbonate may be used to offset the fatigue process during high-intensity, aerobic cycling”. A similar study was carried out with competitive male swimmers. Again, administration of baking soda 60 minutes before exercise reduced lactic acid levels. It was concluded that baking soda may help increase training intensity and performance. It’s not a weight loss miracle by any stretch, but it’s feasible that a little baking soda could help you work a little harder and last a little longer during workouts – leading to increased fat burn. Unfortunately, the safety of this method hasn’t been thoroughly investigated, and, personally, I am concerned about some of the health risks which I’ll detail further on (mostly sodium’s effect on blood pressure). I don’t think it’s worth it for such a small benefit. As I’ve already described, baking soda makes a good heartburn remedy as it neutralizes stomach acid temporarily. Let me give you a refresher from your high school chemistry classes (if you took them). When you mix baking soda with acid, it produces water (neutral pH) and carbon dioxide gas. Yup, gas. So that means a lot of burping. One could argue that the mild stomach upset produced by this reaction could help suppress your appetite. People suffer through much worse side effects for weight loss than a few burps (Alli, anyone?). 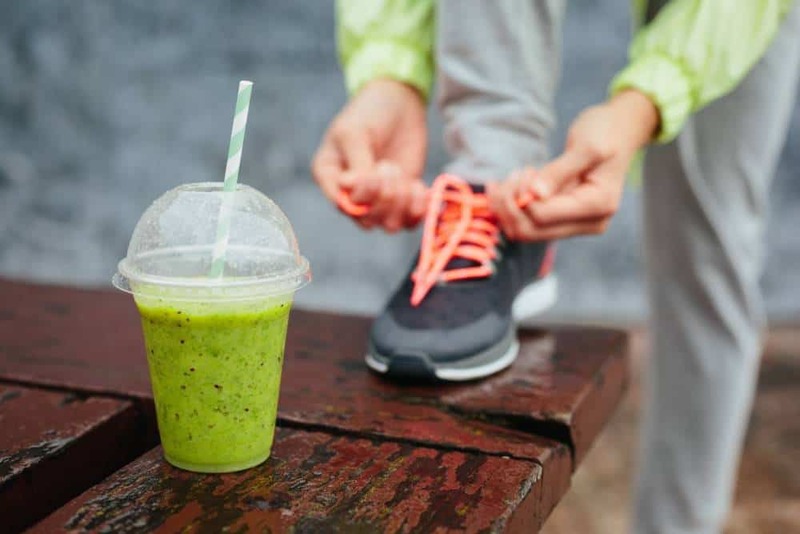 Many of us are skeptical as to how healthy sports drinks actually are. They are usually high in calories and packed with sugar – not ideal for those trying to lose weight. They can often cancel out the majority of your hard work. 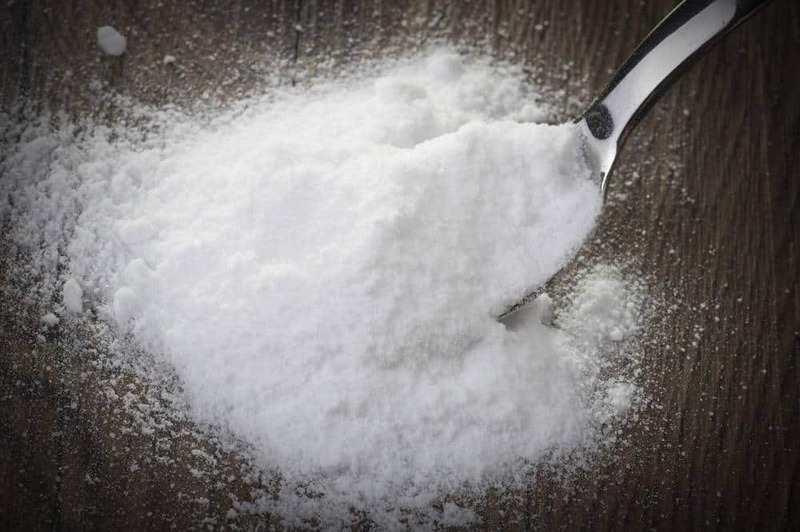 Some websites claim that baking soda can be used as part of an electrolyte replacement drink. Electrolytes are essential minerals in your body that are involved in function of your heart, muscles and nerves. We lose electrolytes through sweat when we exercise and also when suffering from severe vomiting or diarrhoea. However, your measurements need to be quite exact when making this type of drink at home as making it too concentrated can raise your blood pressure. Personally, I prefer to drink coconut water during workouts or buy commercial electrolyte powders from the pharmacy. They taste much better, to be honest. Something I find myself having to emphasise over and over again is that just because something is natural or “old fashioned”, it doesn’t mean it’s safe or healthy. Yes, consuming baking soda has been used for decades as a remedy for indigestion, but it comes with risks and side-effects too. Drinking baking soda is like drinking salt water. It’s extremely high in sodium and will raise your blood pressure – pretty quickly at that. Too much sodium is also linked to kidney and heart issues in healthy people. I’ve already mentioned bloating as a side effect of drinking baking soda but there are some other symptoms to watch out for too. Check out WebMD for a full list. I know this is probably not what you want to hear, but the best and most reliable way to lose weight is through portion control and exercise. I know from personal experience – it took 2 years for me to lose all of my extra weight but I’ve kept it off by using this healthy technique. First of all, you need to calculate your Body Mass Index or BMI. This will tell you whether your weight is healthy for your height. You can use this calculator. If your BMI is between 18.5 and 25, you are at a healthy weight. If your BMI is over 25, you fall into the overweight category. If you’ve decided you need to lose weight, the most important step is to look at your diet. You will need to consume slightly less than your body needs so that it will burn fat for energy instead. Do not turn to crash diets, diet pills or other plans promising fast results. Crash diets are not nutritionally complete and will leave you starving and cranky. Many diet pills are downright dangerous, especially if they are purchased online from dubious sources. Instead, calculate the number of calories your body uses in a day using this calculator. Then, download an app such as My Fitness Pal and use it to log the calories in the food you eat. You should have a deficit of 500 calories per day to lose 1 pound a week. Exercise is important for everyone to keep a healthy cardiac system and strong limbs. However, it’s even more important when you are trying to lose weight. If you find it hard to reduce your food intake by 500 calories per day, an alternative is to reduce just 250 calories from your diet and burn another 250 through exercise. There are lots of apps that can track calories burned from exercise. Walking is a great one to start with if you’re out of shape. Personally I like swimming because it’s easy on my joints and relaxing too. Introduce exercise into your daily routine and you will quickly begin to notice the pounds dropping off. You can probably tell by now that I don’t endorse drinking baking soda at all. I don’t think drinking baking soda can help with weight loss and even if it could, the risk of high sodium intake isn’t worth it. If you’re looking for a natural aid for weight loss, my personal favourite is green tea. It’s a great appetite suppressant and when you add a little stevia or honey it tastes a lot better than baking soda! Whatever you choose, I wish you luck on your weight loss journey, remember – slow and steady wins the race. Persevere with a healthy diet and exercise and eventually your results will show. Well, Helen, you certainly sound like an authority on the subject, but you identify yourself as an editor. So what medical doctorate credentials do you possess that would make one believe that what you say is factual?